PROMOTE OUR OTHER HIGH CONVERTING OFFERS! Woodworking Product On The Internet! Tired of promoting overly saturated weight loss and fitness products? 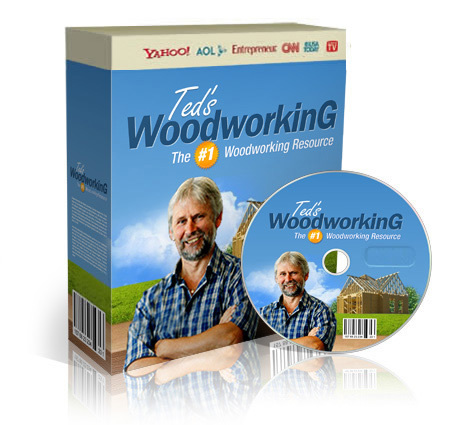 TedsWoodworking consistently ranked top #1 to 5 across the entire Clickbank's network is proof of this HIGHLY lucrative niche. We've been platinum vendors for more than 8 years and we pay out 6 figure commissions to our affiliates EACH MONTH! Here's why: We serve a hungry market with RABID fans.... and we're VERY good at it. 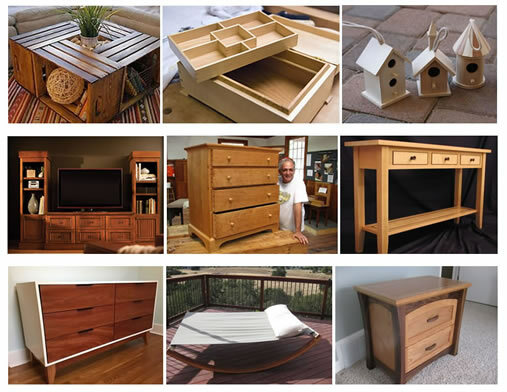 Woodworking is an evergreen niche with a demographic that are passionate. These folks have high spending habits who are always willing to purchase and plans such as TedsWoodworking to improve their craft. That means easy sales, higher ROI, higher EPCs! 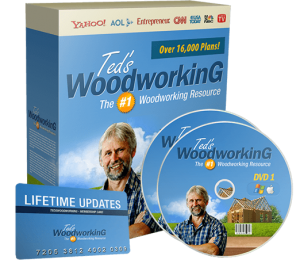 TedsWoodworking 16,000 plans package is sold on Clickbank - the #1 platform for digital products. It consists of the LARGEST database of over 16,000 projects with new plans constantly updated. With 10% conversions on cold traffic and 23% on warm leads, affiliates have been calling this the highest converting DIY/Woodworking product on the Internet! 1 in 11 Hops - 10% Conversions on cold traffic. Affiliates get up to 23% on warm leads! Hundreds of our affiliates are making thousands of dollars EACH day. Test your traffic with us, get serious cash and you'll understand why super affiliates love us! NOTE: More than 70% of customers purchase upsells so you'll get bigger commissions per sale! We're also consistently ranked in the top #1 to #5 across the entire CB network. ...and the kicker is we're not even in highly saturated health, fitness or self help niches. We CRUSH in many lists including alternative energy, green market, DIYers, survival / preppers and of course the woodworking market. Our funnel is laser optimized for maximum conversions and an AOV of >$91.50! That means you'll get easy commissions for every lead you refer to us! You get up to $125 in commissions for a single sale with a highly optimized upsell/downsell funnel. We give 75% of ALL sales from the frontend to the back. We have one of the HIGHEST conversion rates on Clickbank. (We know because we’ve tested them all!). 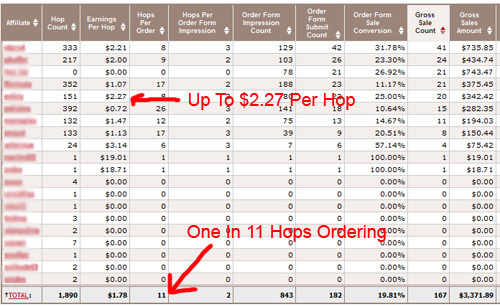 We convert 1 in 11 hops for cold targetted traffic and 24% for pre-sold leads. Unlike other offers, we are constantly testing our landing pages EVERYDAY.That means you’ll get more commissions over time as our conversions improve! We want to provide the best conversions so that our affiliates can make as much money as they can. We have opt-ins for non-buying visitors and we send them follow up emails to close the sale. You WILL get commissions for any sale make via follow-up emails. We’ve got a killer offer that woodworkers would devour with a salespage that is written, rewritten, turned around, fine-tuned and rewritten some more, to grab the potential customer and never let go of him till the sale is closed. It is designed by the top dogs to pull in response and conversions. TedsWoodworking does well on all lists that target men above 30 years old. It crushes on DIY, survival, green energy and conversative lists. Our upsell offer has been optimized and tweaked and it is currently converting at >72%. 7 in 10 is taking up the upsell – giving you more money! The best part is, you get to keep 75% of all upsells/downsells. Our customers love the value in TedsWoodworking and it shows. Members stay with us for the long run as we offer monthly, drip-feed bonuses. That means less customers are refunding, but more importantly you don’t lose your commissions to refunds. We’ve included tons of banners in all sizes, email swipes and resources for our affiliates. We’re also more than happy to help you with any question you have or provide suggestions. Note: You do need a Clickbank ID to get started. If you do not have a Clickbank account, click here to sign up for free. After you get your Clickbank account, you will get a Clickbank ID username. Simply replace "YourClickbankID" with your actual ID. Simply replace "YourClickBankID" with your actual ID. 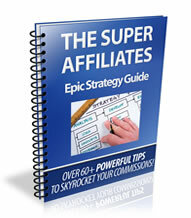 NOTE: The main affiliate link as it has the HIGHEST conversion and EPCs. For PPC and Facebook ADs, use the lander without exit popups or autoplay. Sign up below to get access to our wealth of affiliate resources. You will also get the "Super-Affiliate Secrets" newsletter which includes complete strategy guide of how some of my affiliates are making an easy $35K/month or more as an affiliate of Tedswoodworking. How to achieve a 20%+ conversion rate and any more!